Mishal Raheja is a renowned Indian TV actor who made his debut in televisions with serials like "Pyar Vyar and All That" on MTV Channel where he played the character of Kush during 2005-2006 and then followed by some more like "Laagi Tujhse Lagan" and "Love Story" that helped him a lot to bag some more television projects. Currently, we can see him portraying the character of Lawyer Viplav ( Wakil Babu ) in opposite to Eisha Singh. Serial is essaying the problem and stigma associated with widows of Banaras ( India ). He also worked for various commercials also for brands like Cafe Coffee Day, Amar Toothpaste, Pizza Hut, Cadbury Perk Popper, Air India and Close Up. 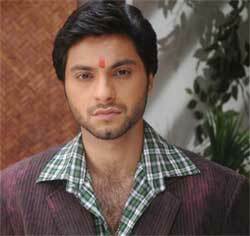 Mishal Raheja was born on 18th August 1979 in Mumbai ( Maharashtra, India ) and did his schooling from Mumbai itself. Then he pursued the degree in Business Management from United states. After that, he worked for an export-import company. Finally, he jumped into the world of televisions and then started working on TV serials. Mishal is fully single now as per the trusted sources and really concentrating on his career right now.